Last week, the Triangle Business Journal had an article claiming that new restaurants are on the way to Glenwood South. 500 Glenwood Ave., a two story office building, will be getting a makeover and will house three new restaurants. 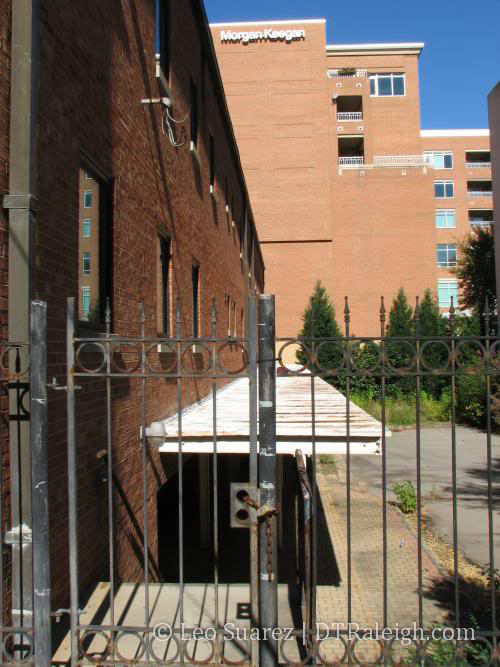 A Carolina Ale house will be thrown onto the roof and Solas’s title of ‘Only Rooftop Bar In Town’ will disappear. With Ale House and Tobacco Road Sports Café opening up soon, Glenwood South’s sports watching appeal will start increasing. Carolina Ale House has pretty much become the ‘official’ place to watch Hurricanes hockey so perhaps it will help build a fanbase of caniacs around downtown (I usually have to ask for the game rather then it being on by default). Also, Tobacco Road will house a remote broadcasting station for 99.9 The Fan. Live radio broadcasts can draw a crowd especially if local coaches or players are being interviewed. This vision was discussed years ago, although I am not certain it was Lou Moshakos behind it. New City Design had a photo of the 3D model once and I am wondering if it will look similar. A great renovation, although I would not mind seeing that building replaced by something at least 6-10 floors tall. I am not sure the views of the skyline will be anything to write home about, but nevertheless, I like the transformation. That corner needed something like this. Something more affordable than Solas, although I must say that the latter is a gem for our nightlife option, IMHO. Hopefully they get very creative with the outside look of the building (this is one sad looking facility). 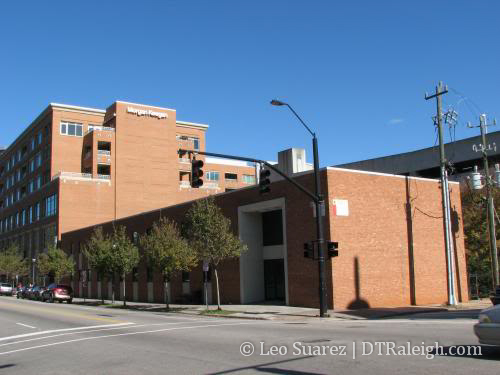 Also, the third floor will cover that aweful plain brick designed wall of that Morgan Keegan building (when is SOMEONE going to complain/do something about that Morgan Keegan parking deck grey elephant view from Capital Blvd. ?, the city should MAKE THEM paint/put a mural or reface that ugly grey wall). It’s hilarious that the sign for Morgan Keegan is still on the building in those pictures– they haven’t occupied that building for at least 6 months now. Did Morgan Keegan move to Grubb’s building on Glenwood or just close down that office?